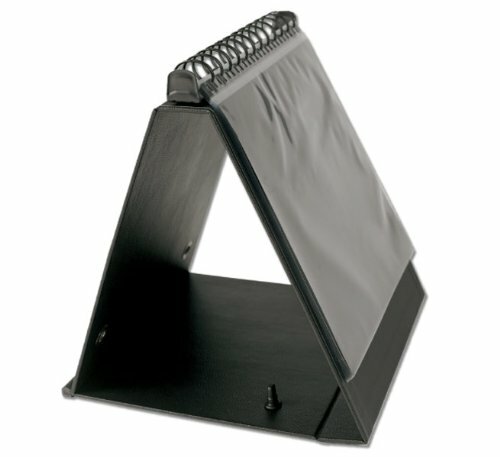 A turned-edge rigid black leather-like grainy covered easel binder with retractable handle and metal swivel closure system. Contains 10 Archival Cristal Laser® polypropylene sheet protectors with black paper inserts. Strong multi-ring mechanism featuring exclusive locking system. Landscape format presentation.